The bamboo cocktail is a classic recipe that is a variation of the martini. It is a brilliant alternative to gin and vodka martinis, pairing sherry with dry vermouth, then giving it a double dose of bitters. As you might imagine with these two aperitifs, it makes an excellent before-dinner drink. The story goes that this drink was created sometime around the 1890s by Louis Eppinger at the Grand Hotel in Yokohama, Japan. In his time, Eppinger was famous for turning around the Grand, mixing many great drinks and overseeing culinary menus to which the elite would flock when visiting Japan. According to David Wondrich's book, "Imbibe! ", the drink mysteriously made its way to the United States and was sometimes known as a Boston bamboo. Pour the vermouth, sherry, and bitters into a mixing glass filled with ice. 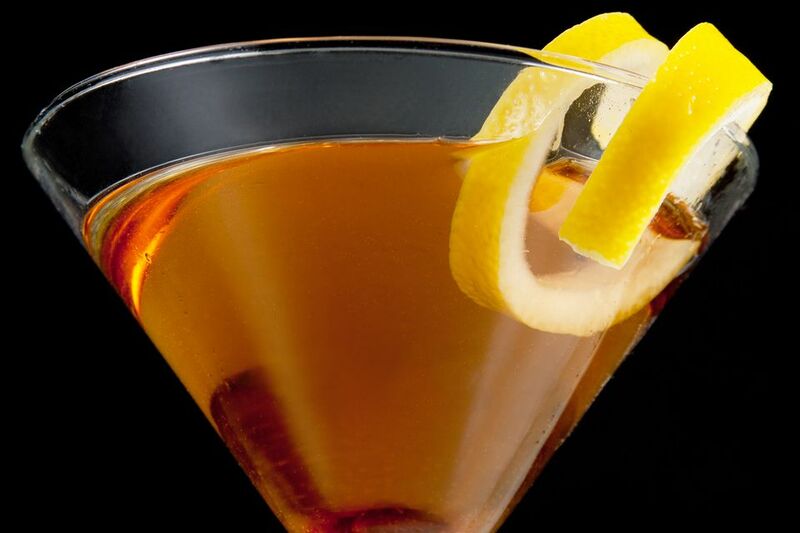 Twist a lemon peel over the drink to release its essence, then garnish with an olive. Any style of sherry will be nice in this cocktail. The fortified wine ranges from the dry profile of fino sherry to a richer (still dry) oloroso to sweet sherry. Explore the options and how they pair with dry vermouth to find a suitable match for your taste. Some people may enjoy oloroso and the sweeter sherries, while others may prefer a dry fino. You may also want to change it up with different food pairings. To ensure the best tasting bamboo cocktail, make sure your fortified wines are fresh. Once open, vermouth has a shelf life of two to three months and sherry is right around two weeks. Both should be stored in the refrigerator. If you can, don't skip the lemon spritz or olive garnish. While they may seem like insignificant additions, just like the bitters, the flavors they impart have an impact on the bamboo cocktail's finished taste. Just like the martini, you can make this mix "perfect" by using equal parts of sweet and dry vermouth. The resulting cocktail is called the Adonis, another classic from the late 1800s. How Strong Is a Bamboo Cocktail? The other advantage of the bamboo cocktail over the gin martini is how light it is, which makes it an ideal dinner companion. Taking the average of the two wines, it should have an alcohol content around 15 percent ABV (30 proof). That's half the strength of an average martini and only slightly stronger than a glass of wine. You can enjoy a great meal without getting tipsy!